Garage doors are one of the essential part of our house. 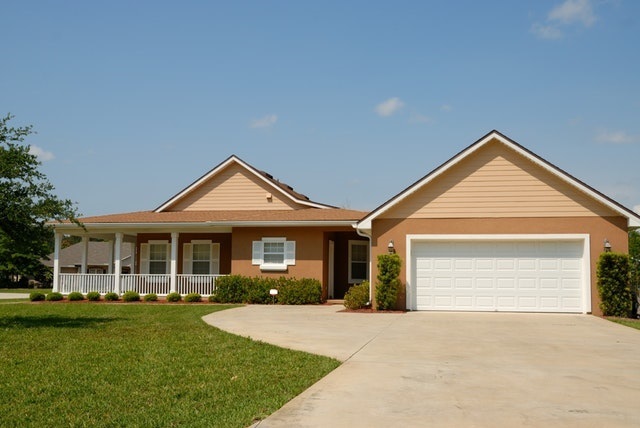 It is convenient and equally important to automate garage doors. This makes it easy and quick to open and close your garage door whenever you want to get your car in and out. There are different smart technologies which will help you automate your garage door. Z-Wave is one of the smart technologies you can use. With the help of Z-Wave technology, we’ll take on the best smart garage door openers. Take a look at our top picks for the best Z-Wave garage door openers and controllers. Why Use Z-Wave To Automate Garage Door Openers? How To Choose A Z-Wave Garage Door Controller? Z-Wave is a wireless communication protocol primarily designed for home automation. When we say home automation, this is automating many different functions at home which includes the opening and closing of garage doors. It makes sense to automate a home’s garage door. It makes it easier to get your car in and out of your garage without you leaving your car. What’s even better with going with Z-Wave technology is the possibility of including the control of garage door within a Z-Wave based home automation system. You will have the ability to monitor and control different home functions within a mobile application. In short, you can create a centralized home automation network. Here’s our list of the best Z-Wave garage door openers. Take a quick look and check out the details for each below this table. Our top pick for the best Z-Wave garage door opener is GoControl/Linear GD00Z-4 Z-Wave Garage Door Opener. This smart device is a product of GoControl, from Nortek Security & Control , which is one of the leading providers of different Z-Wave smart home products. This smart device provides you with the ability to remotely open and close your sectional garage door. This Z-Wave garage door opener compatible with virtually different automatic garage opener connected to a sectional garage door. GoControl GD00Z-4 also provides both audible and visual warnings prior to door movements. Please note that this device needs to get connected to a Z-Wave smart hub. The GD00Z also includes a wireless tilt sensor that can be attached to the inside of the garage door. This reports ‘open’ or ‘closed’ status to the Z-Wave controller. This devices meets UL 325-2010 safety requirements as well as FCCand ETL certifications. This smart device is powered by 120 Volts AC 50/60 Hz. The Z-Wave frequency is 908.42 MHz and the garage door position sensor frequency is 345 MHz. To setup and install GoControl GD00Z-4, you only need to pair this device to your Z-Wave smart hub, install or mount the device, connect 2 wires and then plug the device in. Check the video so you will know how to setup this smart device in your garage door and how you can control and monitor it in your mobile phone. 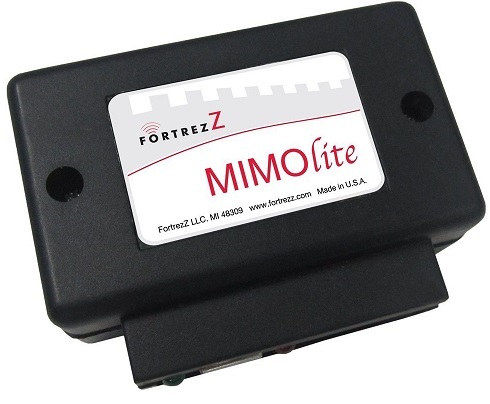 FortrezZ Z-Wave MIMOLite Motor Control is another good candidate to automate and control your garage door. This is a product of FortrezZ. This smart device is a bridge module which gives you an interface to convert a traditional wired device to a smart Z-Wave device. This Z-Wave module has 1 input and 1 output which gives you the ability to control anything like the garage door. Aside from Garage Door Opener, this device can also be used for Doorbell Sensor, Gas Fireplace, Wired Lighting, Drapery Motor, Electric Door Strike and Motorized Water Valve. This smart device requires a Z-Wave smart hub to allow you control your garage door remotely. Please make sure that your Z-Wave smart hub is compatible to pair with this device. Always ask manufacturer’s support. The power of this device is 9 volts power adapter. The frequency range is 908.4 MHz (US) and the max distance range is 100 feet line of sight in unobstructed environment. This device has 1 signal input which can receive low voltage signals through Z-Wave. This can be used to get inputs from different sensors like contact sensors, doorbell sensors, water leak sensors, temperature sensors and among others. For the output, it has 1 24 VDC / 100 VAC relay to control any low voltage device such as garage doors, motorized shades, gates and among others. The relay can be set as latched or momentary. The manuals and guides about this product are downloadable here. 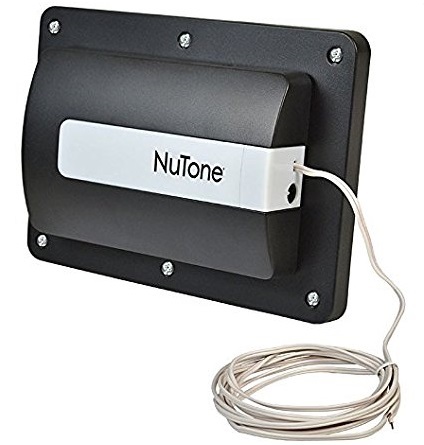 Next in line is a smart garage door controller from NuTone. This Z-Wave Garage Door Controller gives you the remote control to open and close the door of your garage. 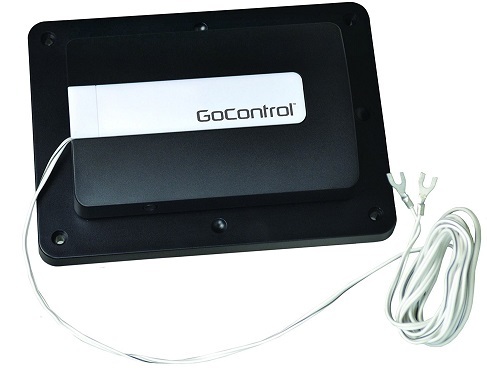 This garage door controller comes in a look similar to GoControl’s Garage Door Opener above. This is compatible with virtually any automatic garage door opener which is connected to a sectional garage door manufactured after 1993. It also provides you with visual and audible warnings whenever you activate door movements. The strobe light is 360 Lumens while the audible alarm is 45 db at 10 feet. Please note that this device also requires a Z-Wave smart hub. Aside from the main controller device, this device also comes in with a wireless tilt sensor. This tilt sensor is attached to the inside of the garage door. What this sensor does is reports the status of the garage door to the controller, whether the door is close or open. This device meets the UL 325-2010 safety requirements. The installation is pretty easy and manageable. All you have to do is to ‘pair’ the device into the smart home network by connecting to the smart hub. Then you have to mount the unit and connect two wires. Finally, plug it in the outlet. Yes, automatic garage door works fine. But it is never a lost to try out the new technology about home automation. An automated garage door with the ability to give you remote control and monitoring over it through the use of your smart phone is definitely worth it. And through Z-Wave technology, you can remotely control your smart devices including your garage door in your smart phone. Here’s our guide for you about Z-Wave garage door openers and controllers. We know that new things is a little scary to people sometimes. It is the same with home automation technology. For all, the most important step is to embrace change and willing to take the risk for a new technology. And it is worth a try. Yes, home automation has been a trend and will definitely be giving you a lot of benefits. The most important ones are convenience, control and security. So, here’s our guide to help you decide with how you will go with choosing a Z-Wave enabled garage door controls. Most likely, you already have a home automation system based around Z-Wave technology. After all, we see that Z-Wave is by far, if not, the best home automation technology as of now and has the most diverse set of smart home devices. Not to mention smart switches, smart sensors and among others. The most important smart device in a home automation is the smart hub or smart controller. This is the one which communicates all other smart devices at home like smart switches and smart sensors. This is required in most of smart devices.With this device, you will have a centralized and connected network of home devices which you can control in a smart phone application. It is the device which connects all of your smart devices. Since these Z-Wave garage door controllers require a smart hub, make sure that you have a Z-Wave smart hub as well. And, this should be compatible with your smart garage door opener. Even though, the Z-Wave Alliance requires every certified Z-Wave device to work with each other, always do a double check with compatibility of your garage door opener to your smart hub. This is also extremely important to consider before you buy any of these smart garage door openers. Even if the product description states that they are compatible with most garage doors, always do an inquiry or check if it is compatible with your existing garage door setup. A good avenue to seek for answers is the product reviews of these smart devices in Amazon. Also, the most important source of information is the support of the product manufacturer. Never hesitate to contact them before you buy the product. The installation of these smart garage door openers requires some skills and careful following of setup manuals. Although, this is not that much of a concern as long as the above compatibility are already considered. This just requires careful implementation of product guide and manuals. Also, you can look for videos in Youtube regarding how to install and setup specific smart devices. We already did also add installation videos for your reference. Product reviews are good source of information regarding products. These are very helpful since reviews are coming from buyers and users. Anything good or bad from their experience is definitely helpful for you too. This way you are even more informed of the kind of product you are looking for and whether it will give you the benefits you are hoping to get. Devices such as smart garage door opener poses a security threat because it can make your garage door open. And thus, you should consider security issues like an outsider being able to access and control your Z-Wave garage door opener device. Smart devices like this have encryption systems in place to prevent unauthorized access to your home. Maintenance and support are both important in the long run. Everyone would expect that products like smart garage door openers would last long. But know that most products do have problems from time to time so it is extremely important you keep contact number for support and maintenance issues. This will come in handy in the future when you encounter issues with the smart device. Smart devices such smart garage door controllers rely on wireless signals. With this, it is important to note that the space around in your garage where you will install the Z-Wave garage door controller will be in line of sight with your smart hub or any other Z-Wave signal repeater. Most Z-Wave devices like smart switches can be signal repeater so make sure that the signal to and from your smart garage door device is not obstructed. Tests after installation should provide you a good feedback if the signal is good enough for the device to work properly. It is really helpful to automate your garage doors. It provides convenience and it makes it easier to drive your care in and out of your garage. And smart devices with Z-Wave technology can give just that kind of benefits when it comes to making your garage door smart. And if you are looking to fully automate more functions at home, not just your garage door, then having it based on Z-Wave would be great as there are plenty of smart devices supporting this technology. In contrast, if you already have a Z-Wave based home automation system, then it would make sense to add a garage door controller which is using Z-Wave communication protocol. Choosing the best Z-Wave garage door opener controller is just the first step towards garage door automation. But it is equally important and we think this is the most important step. You need to choose the best one which will suit your needs and will satisfy the features you are looking for a smart garage door. This is why we hope that this list of the Best Z-Wave Garage Door Openers will help you to start right.